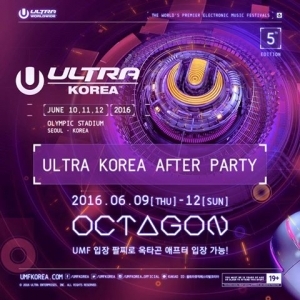 Ultra Korea 2016! 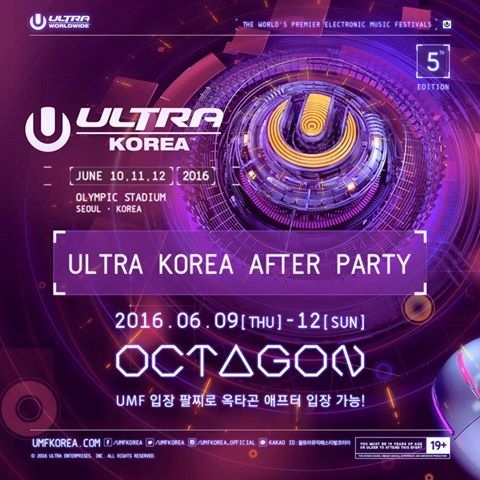 Experience the worldwide music festival after party in Octagon from Friday to Sunday! We invite you to one of the best party in Seoul with the best line up! * Free entree access till 1:00 AM with UMF wrist band! Dress codes that are not suitable for our club may be regulated. * Any behavior that could discomfort others (whistle-blowing, violence or sexual harassment) is strictly forbidden.